On-Crete Australia Pty Ltd believes in long-term business growth and sustainability, which our distributors pay a vital role. On-Crete's aim with our distributors is to deliver the best possible products available in the decorative concrete industry. 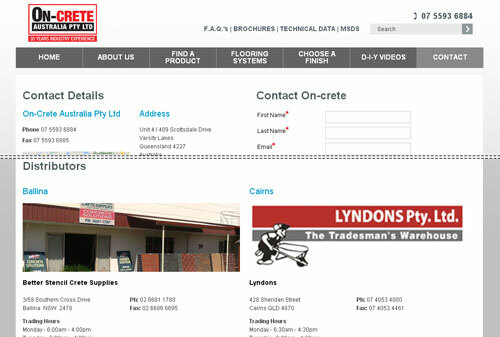 On-Crete Australia Pty Ltd actively promotes their distributors through it's website, online marketing campaigns, marketing materials, trade days and exhibitions.